A broad range of CRM services under a flexible, market-leading platform. Salesforce is a name you’ll come across time and again in the world of CRM. The company was founded in 1999, and has made a series of acquisitions over the years to make it a truly competitive software powerhouse. As a result, the functions of its many offerings can sound as though they overlap a little. But, what they have in common is a focus on how powerful customer data can drive business success. Salesforce has invested in a strong support team and documentation, and provides a truly high-quality CRM platform. 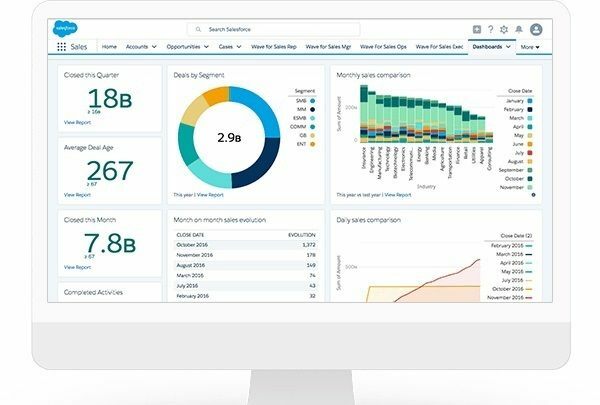 Here’s our explanation of what Salesforce can do for your business and how its main tools function. 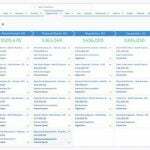 The Salesforce CRM platform lets businesses monitor and improve their customer relationships. Salesforce offers a suite of different services, called “clouds”. These each cover a wide variety of business needs: Sales Cloud, Service Cloud, Marketing Cloud, Community Cloud, Commerce Cloud and Analytics Cloud are included, among others. They all can be accessed through a centralized CRM platform, which is available on Android and iOS mobile devices as well as on desktop. There are two different styles of user interface, too – these are Salesforce Classic, and the newer (more recommended) Salesforce Lightning. For more on how these change the look-and-feel, plus the apps you’ll be able to run, see our guide to Salesforce Lightning vs Classic. 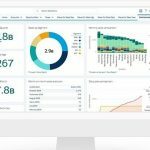 Additional services can be integrated with these clouds: Einstein analytics, an artificial intelligence-powered analytics service, can be layered over any cloud on the platform, and offers additional data-driven insights to the workflow. Chatter, an internal social network, can also be layered across all clouds, better connecting employees. And, with the Salesforce AppExchange store, independent software vendors can build additional apps to integrate Salesforce with additional third-party services. Though it’s the biggest name in CRM software, Salesforce isn’t the only game in town. We recommend checking our guide to the Best Salesforce Alternatives for other high quality CRM solutions – Hubspot’s relatively stripped-down freemium model provides a sharp contrast to Salesforce, for instance. This review will discuss the features found in the two most common clouds, Sales and Service, which the company sells together in a package it bills as a “complete CRM for any size team.” We’ll also discuss the available support and pricing options. To get a clearer picture of how Salesforce CRM ranks against some of its competitors, check out this table comparing their benefits and pricing plans and read on for more information about specific features. Contact Management — Every contact in an agent’s account can be tied to any relevant opportunities, cases, social posts, and open or archived activities. Opportunity Management — List your deals by a variety of qualities: standard price, quoted price, quantity, and any relevant product codes. Lead management — List your leads alongside any relevant context and insights. 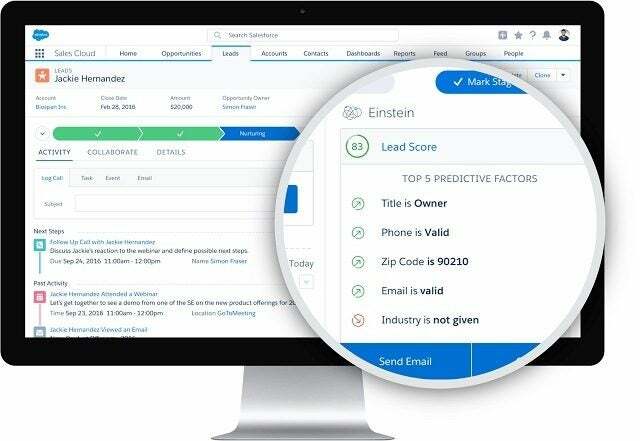 In-app emails — Agents can email their leads from within Salesforce, speeding up the process and ensuring the agents have quick access to the data they need. Report building — Analytics software helps agents customize their personal reports and charts with no coding, just simple drag-and-drop tools. Team collaboration — Agents can message and send files to other members of their team through the Salesform CRM platform. Outlook and Gmail integrations — The entire teams’ work email inboxes can be synced with each other, ensuring contact information is available to all. Sales Cloud can be accessed via desktop or mobile, letting agents move faster wherever they are: The average Salesforce customer sees a 37% boost in sales. Customer chat — Through Service Cloud, customers can message with agents. Mobile channels — Customers who prefer using mobile can connect with agents via SMS text or Facebook Messenger. Social Customer Service — Agents can monitor social media channels in real-time, reaching out to customers who contact the business there. Field Service — Agents can improve onsite job performance with fast access to schedules and inventory. They’ll be able to create and manage work orders through Salesforce, on mobile, and with or without the internet. Read our in-depth Salesforce Field Service Lightning review for more. Omni-channel records — Through the Salesforce CRM platform, agents can access cases, assets, accounts, and all the information they’ll need, at any time, on any device. The overall impact of this cloud approach is far greater agent productivity, which leads to far greater customer satisfaction, loyalty, and retention. The customer support software solution was found to lead to 32% more customer happiness in one 2017 study. This video dives into the main functions of Salesforce’s commonly used service, Sales Cloud, which helps a business’ sales team manage their clients. All leads can be grouped by source, company, and contact information in a report with an easily customizable format. Salesforce offers online webinars, documents, and ebooks. Limited virtual training sessions can also guide users through the learning process. 24/7 toll-free phone support, developer support, and unlimited online training options are available at an additional charge unless your business is subscribed to the Lightning Unlimited service plan. 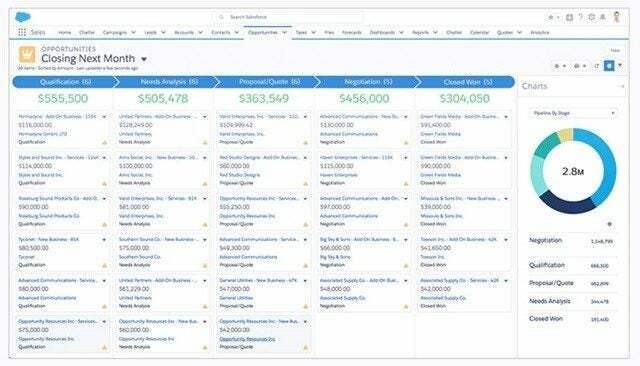 Pricing and plans vary for Salesforce’s suite of services. The Sales and Service Clouds are bundled into three service plan tiers: Lightning Professional costs $100/user/month, billed annually, while Lightning Enterprise costs $175/user/month, billed annually, and allows greater access to automated workflow solutions. The top tier, Lightning Unlimited, costs $325/user/month, billed annually, and opens up access to unlimited training, support, and developer tools. All three plans include the features listed in our review of the Sales and Service clouds, however. The Sales Cloud and Service Cloud are each available separately under the same tiers for $74, $150, and $300/month/user, respectively. 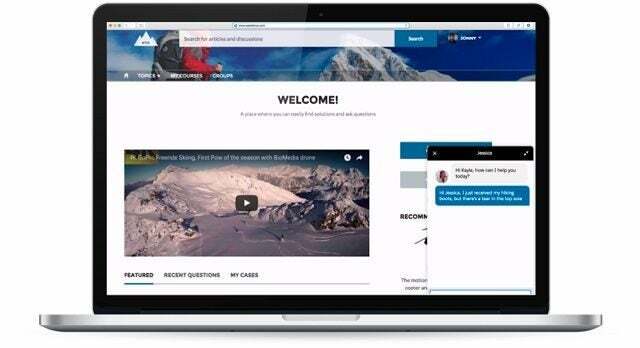 In addition, a $25/month out-of-the-box service plan, Salesforce Essentials, allows a small business of up to 5 users to use either the Sales or Service cloud. Other Salesforce clouds and services are available separately for comparable monthly service plans, though pricing for some depends on additional factors and must be delivered through custom quotes rather than a unilateral fee. Salesforce is the leading name in CRM software for good reason. Granted, its many-tentacled software options can be overwhelming, but the company offers plenty of supporting databases, documents, and live or virtual training options to help you conquer the learning curve. Once your team understands the services, the incredible customization will become a strength. Salesforce provides a great overall value that can boost sales and retention.